Shops urged to up their game to compete with internet selling. As a retired food retailer, who spent 40 years at the sharp end of the business, I believe retailing has always been competitive. In the 1980s and 90s, high street shops could offer a service and expertise that supermarkets couldn’t. The customer was buying into a personal service. Then supermarkets upped their game and trained staff to be helpful and friendly, as well as providing a better quality product. When you go to your local shop, you want to be known by your name and treated as a valued customer. A lot of private businesses do still provide that now, but a lot don’t and therein lies the problem. Not enough of the private shops have upped their game to make it worthwhile for shoppers to go to them rather than the supermarket or buying on the internet. I can’t share Martin Widden’s enthusiasm for the proposed Eden project, letters December 4, as I have the following reservations. 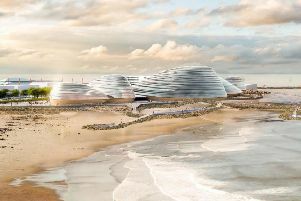 Eden’s CEO says the project will ‘connect’ people to the natural environment of Morecambe Bay. Of course, we can already do just this by visiting Morecambe, where we can connect with our beautiful Bay for free, rather than shelling out £25 - the current entry fee for Eden in Cornwall. The project is another example of developers monetizing something that we, the people, already own – our natural environment – and then selling it back to us. 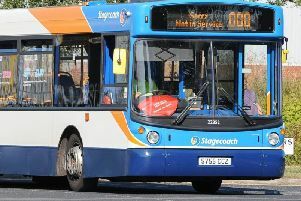 Moreover, no mention was made in the press release of any plans to deal with either the increased traffic levels, or the damaging environmental impact made by the expected 1m plus visitors annually. As for creating jobs, there are more immediate needs, such as building affordable houses for the poor and homeless, or setting up an environmental taskforce to clean up our local environment, which would employ local people. So, don’t be fooled by councillors who, in search of a legacy, gush over vanity projects that don’t – as claimed - ‘enhance’ our environment, but damage it. Go out today and connect with the natural beauty of Morecambe Bay, and for free. The RSPCA receives hundreds of calls every year from pet owners worried about fireworks. In 2013, we received 367 calls, which has steadily risen to a peak of 501 in 2017. Over the last five years, this amounts to more than 2,000 calls. We now want to see the private use of fireworks restricted to certain days – November 5, New Year’s Eve, Chinese New Year and Diwali, as new studies show 38 per cent of dogs feel fear at loud noises including fireworks. We would also like to see the maximum permitted noise level of fireworks for public sale reduced from 120 decibels to 97 decibels. This is likely to further reduce the stress to animals. A Change.org petition, set up by Julie Doorne from the FAB Firework Abatement Campaign, has already generated tens of thousands of signatures and the RSPCA is joining calls urging people to email the UK Government. We believe the Fireworks Act 2003 and the Fireworks regulation 2004 doesn’t go far enough. Sadly, it is not just household pets that are affected. Horses and farm animals can be frightened by loud noises and sudden flashes of bright light, which can startle them and cause them to injure themselves. Wildlife can also be burnt alive after making their home in bonfires. Cyclists should be wearing hi-visibility jackets so motorists can easily see them. Most cyclists wear dark colours that are not readily seen in dark conditions, twilight or at night.